Dr Rachel Chester is a Lecturer in Physiotherapy at the University of East Anglia, and Freelance Physiotherapist at Sportsphysio, UEA Sportspark. 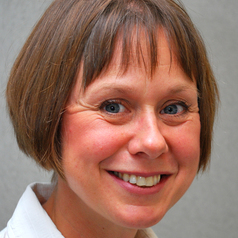 Rachel has worked clinically since 1987, mainly in musculoskeletal practice. This has been primarily within the NHS, also privately and abroad. Rachel has published in a number of musculoskeletal areas. In more recent years, Rachel's clinical and research interests have focussed on the assessment and rehabilitation of people with upper limb problems, in particular shoulder pain. In 2011, Rachel was awarded a prestigious NIHR Clinical Doctoral Research Fellowship. Rachel led a prospective multicentre study of over 1000 patients with shoulder pain, to identify prognostic factors associated with the outcome of physiotherapy management. The main results have been published and are being presented at national and international conferences. Further analysis of the data is continuing and will be followed by more publications. Rachel teaches on both the BSc and MSc physiotherapy and occupational therapy courses at UEA, mainly anatomy and musculoskeletal. Rachel also teaches on post graduate courses and programmes and prior to embarking on her Doctorate was Course Director for the MSc in Advanced Musculoskeletal Research and Practice at UEA. She is currently module co-coordinator for the BSc year one physiotherapy practice. Rachel is keen to co-supervise PhD students who have an interest in research in prognostic factors and/or musculoskeletal problems.